Thursday we celebrated Amber’s birthday. Though her birthday is still several days away, she was in town and we had a plan. Amber keeps a life list and one of the things on her list was to make a Baked Alaska with me. 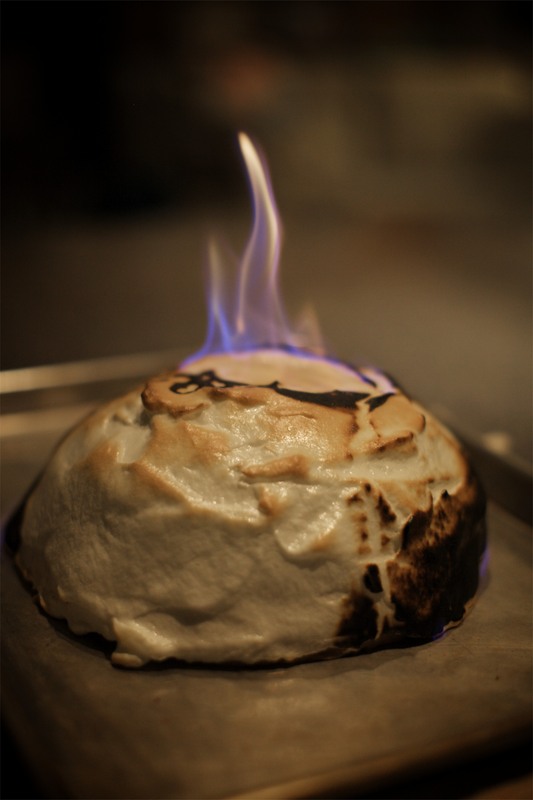 Neither of us are sure why it had to be Baked Alaska and neither of us had ever made it before. We also decided that it needed to be flambeed. Despite being rather petrified the house would burn down, it actually went off without a hitch and looked amazing! 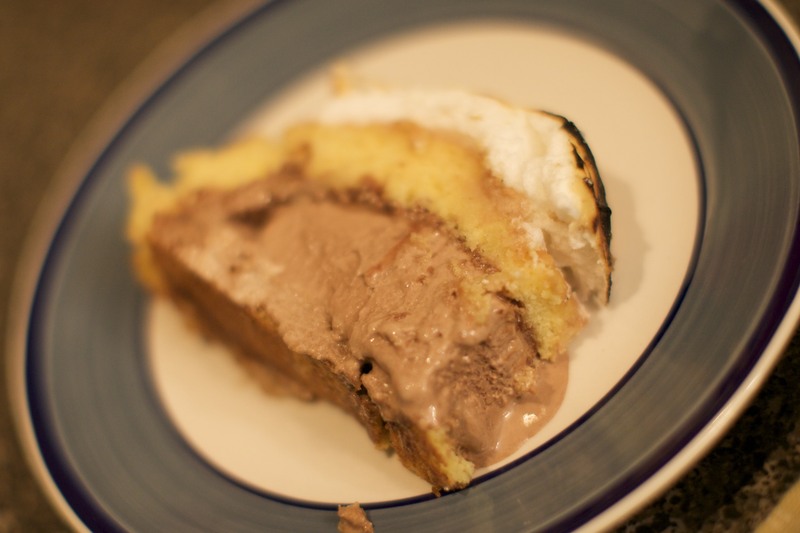 It’s a gooey, cakey, melty mess when you serve it up, but it’s pretty tasty! Next up were presents. Actually, that’s a lie. I asked Amber when she wanted her presents and she opted for the moment she walked in the door. I made her a couple of things. 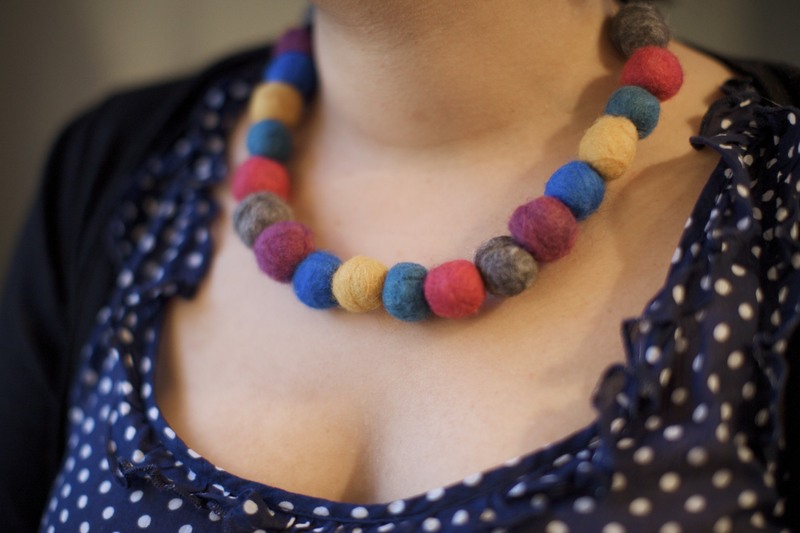 First, a felt ball necklace (that can also double, we found, as a fun hair accessory). It is not perfect, but I kind of love the way it came out. And if anyone can pull it off, Amber can. Next, I’ve been wanting to do another embroidered something and I finally found a project I really wanted to do. 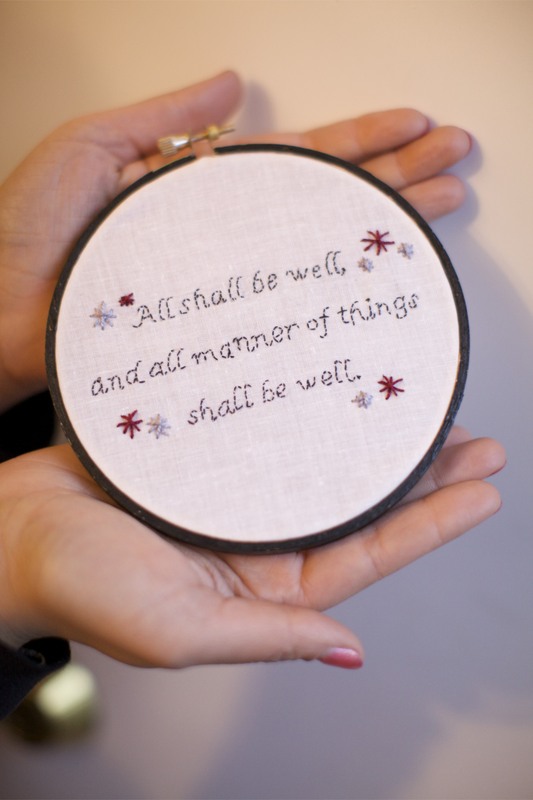 This quote by Julian of Norwich has become an important one for my friend as she’s walking through a difficult time. I wanted her to have it somewhere in her house she could see it and know that things would be OK. Happy Birthday, friend! I will always be glad you were born! Thank you so much for this. It was excellent.